This is one of two reviews of “Django Unchained” by Lakefront Historian bloggers. See also Courtney Baxter’s post on the film. In the wake of Steven Spielberg’s Lincoln, Quentin Tarantino’s spaghetti western inspired take on antebellum American slavery Django Unchained risked misinterpretation of its tone and message. Throughout the film, however, Tarantino deftly strikes the right balance between genre bending playfulness and respect for the weighty subject matter. Like his last film Inglorious Bastards, Django Unchained is a revenge fantasy, empowering an oppressed group against powerful enemies. Taking on two of the darkest chapters in human history, the holocaust and racial slavery, while maintaining his slick sense of humor and film geek B-movie references seems a recipe doomed to trivialize and offend. Yet somehow Tarantino pulls it off. For the record, I have never been as enamored with his work as others. Prior to Inglorious Bastards, I respected his craftsmanship and flare for dialogue, but his movies always seemed hyper referential and lacking in authenticity. It is often difficult to tell where the film geek allusions and homages end and Quentin the auteur begins. His breakthrough film Pulp Fiction, while bursting with style, offered few genuine insights or emotional depth. The promise of this recent turn toward historical (or counter-historical) subject matter is that he has found a way to employ his talent for subverting genre as a means to analyze the process of historical memory. For better or for worse, the movies have become probably the most powerful medium for the transmission of historical knowledge. There have been plenty of films that have focused on the Civil War, but few have engaged with the savagery of slavery in an immediate way. In Django Unchained Tarantino seems to be saying, “why not remember it this way?” But the key to the success of this approach is that he delivers a serious counter-narrative within the guise of a celebrated and seemingly benign genre, the spaghetti western. Tarantino did not put the horrific atrocities on display in Inglorious Bastards the way he does in Django. That he feels the need to expose the audience to such horrors is revealing. Mainstream American culture eschews depictions of the barbarity of slavery at the same time that it is quite comfortable with violence in other contexts. The legacy of slavery has real material consequences to this day and we too often neglect the terror that fueled such a vast system of coerced labor. Whether by design or not, Django Unchained forces a real confrontation with the savagery of slavery, but presents the violence in a genre context where violence is expected. The film lays bare the cruelty of the peculiar institution but delivers the message in stalking horse fashion – within the comfortable confines of familiar B-movie genres. That said, despite the seriousness of the underlying themes, the Sergio Leone aesthetics and nod to blaxploitation flicks is also a hell of a lot of fun! Watching a former slave take out a few sadistic slave breakers in gunslinger fashion is an exhilarating experience. The movie works on many levels. The primary theme of the film is the dialectic of savagery and civilization. The pretensions to gentility among the Southern plantation owners, personified by Calvin Candie, are frequently contrasted with the system of terrorism necessary to maintain the system. Candie is a francophile who doesn’t speak French and a phrenologist who seems to lack even rudimentary scientific knowledge. The dinner settings are extravagant but his sister at one point has to discourage Candie from showing his guests a slave’s scarred back. However, as the film makes clear, despite all of her southern bell pretensions, she is just as complicit and deserving of Django’s vengeful wrath. Tarantino’s solution is simplistic – to fight violence with violence. It is cathartic and, at least in the realm of fantasy, it makes sense to just blow it all up. Sometimes old myths must be destroyed for new ones to emerge. Django Unchained is successful in setting us on that path. One interesting observation is that, while much of the violence in the film is over the top, it isn’t universal. The scenes in which masters and overseers are killed are depicted in such a way. Yet when the violence is directed towards the slaves, whether it was the whipping of Kerry Washington’s character or the murder of Candie’s runaway slave, is portrayed in a much more serious, somber manner. It’s a rather subtle distinction that I missed at first watch, but a very powerful decision by Tarantino. “DJANGO UNCHAINED” is not a revenge tale. It’s not a revenge tale. It’s a rescue tale. If the movie was a revenge tale, Bruce Dern would have been the main villain, not Leonardo Di Caprio and Samuel L. Jackson. On the other hand, “ZERO DARK THIRTY” is definitely a revenge tale. These categories aren’t mutually exclusive. It’s both a revenge and a rescue tale. I do take your point though. 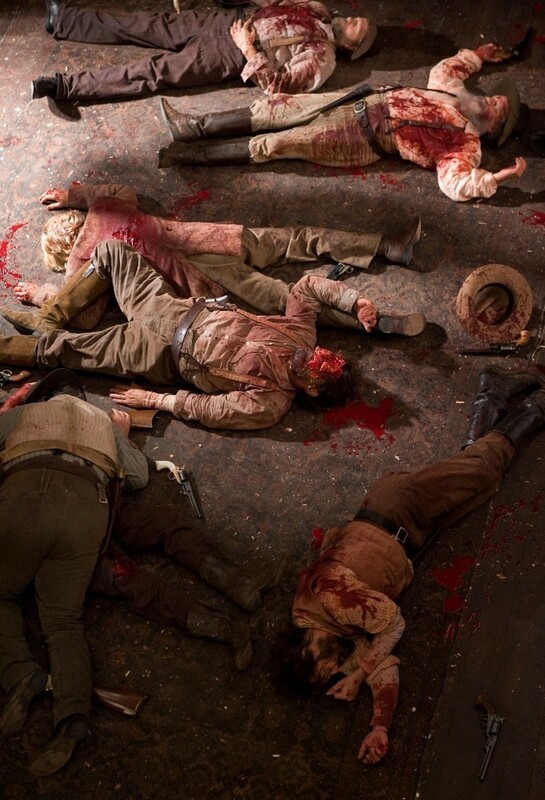 Django’s violence is motivated by a desire to rescue his wife, rather than pure wrath. Culturally it serves primarily as a tale of redemption and pride — but certainly revenge plays a key role in this process. Actually, it doesn’t. The one person who tore Django and Broomhilda apart never paid the price for his action – namely the character portrayed by Bruce Dern. Django’s killing of the white residents at Candyland ensured that he and Broomhilda would get away without being instantly hunted down. His encounter with the Brittle brothers in Tennessee stemmed from helping King Schultz to capture or kill them in exchange for his freedom and $75. Yes, Django enjoyed his moments of retribution against the likes of Stephen and Billy Crash. But overall, his motive was never about revenge. The movie’s main narrative was never about revenge. Why is it important to you that it is?